Tears are essential for eye health. The tear film, which consists of an oily layer, a watery layer and a layer of mucus, is spread over the eye by blinking. It makes the surface of the eye smooth and clean and carries oxygen and nutrients to the cells on the surface, which have no direct blood supply. Without the tear film, good vision would not be possible. Tear production normally decreases with age. Although dry eyes can occur in both men and women at any age, women are most often affected, especially after menopause. In extreme cases, eye dryness can lead to corneal damage. Dry eyes can be caused by many things. Reduced tear production or increased evaporation from the surface of the eye. A dry environment or workplace, long hours on a computer, sun exposure, and smoking or second-hand smoke exposure can make eyes dry. In people with rheumatoid arthritis, lupus and Sjogren’s syndrome the immune system attacks the tear glands just as it does other body tissue, leading to dry eyes. Conditions that reduce the cornea’s sensitivity such as diabetes, herpes eye infection and laser eye surgery (LASIK) reduce blinking and tear production, too. A wide variety of common medications including diuretics, beta-blockers, antihistamines, sleeping pills, sedatives and pain relievers can also reduce tear secretion. Medicine has little to offer those suffering from dry eyes except possibly surgery to insert lacrimal plugs which block the tear ducts and prevent tears from draining away quickly or topical wetting solutions. The latter is much less invasive but the composition of the product is important. Wetting, or ‘comfort’ solutions can be effective in the short term. But many contain substances that are harmful to the eyes over the longer term. 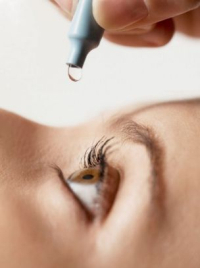 For example, it is widely acknowledged that most preservatives used in eye drops and wetting solutions, including benzalkonium chloride and ethylenediaminetetraacetic acid (EDTA), are damaging to the eye. Likewise even when it is highly diluted, polyacrylic acid is a toxic and irritating substance, as are the preservatives cetrimide and sodium hydroxide. So the first thing to do is look for a preservative-free product. Many wetting solutions are mostly water and as such may not do the job of natural tears effectively. The tear film is mostly mucous and products that contain a synthetic gel aim to get around this problem. Look for producst with ingredients, such as electrolytes and bicarbonate or cellulose-based lubricants such as carboxymethyl cellulose, hydroxypropyl methylcellulose (a.k.a. HPMC or hypromellose), or hydroxypropyl cellulose, that encourage the production of the natural mucous layer. 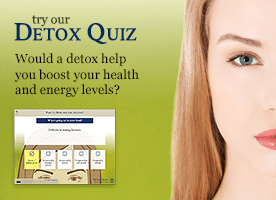 Most recently liposomal eye mists have come on to the market. These contain fatty acids similar to those found in the eye naturally and studies show they can be effective though there can be considerable differences in terms of effectiveness between brands. Using a humidifier, especially in the winter. Look also to your diet. Artificial tears flush out debris, dilute substances trapped in the tear film and increase tear clearance. They do not, however, provide all the factors critical for the maintenance and repair of the ocular surface, these include antioxidants, particularly vitamin C and glutathione – an antioxidant composed of the amino acids cysteine, glutamic acid and glycine, as well as beta-carotene and related carotenoids lutein and zeaxanthine. See also related articles, left.